New versions of OLPC software for XO-1 coming soon! OLPC wasn’t planning to make a Fedora 11 release of the XO-1 OS, but a group of volunteers including Steven Parrish, Bernie Innocenti, Paraguay Educa and Daniel Drake stepped up and produced Fedora 11 XO-1 builds that follow the OLPC 10.1.1 work. I’m happy to announce that we’re planning on releasing an OLPC-signed version of that work, and that this release will happen alongside the next XO-1.5 point release in the coming weeks. So, OLPC release 10.1.2 will be available for both XO-1 and XO-1.5 at the same time, and will contain Sugar 0.84, GNOME 2.26 and Fedora 11. We think that offering this fully interoperable software stack between XO-1 and XO-1.5 laptops will greatly aid deployments, and we’re very thankful to everyone who has enabled us to be able to turn this XO-1 work into a supported release! To prepare for this XO-1 release, we’ve started working on fixing some of the remaining bugs in the community F11/XO-1 builds. Paul Fox recently solved a problem with suspend/resume and wifi in the F11/XO-1 kernel, which was the largest blocker for a supported release. We’ll continue to work on the remaining bugs, particularly the ones that OLPC is uniquely positioned to help with. The first development builds for this release will be published later this week. 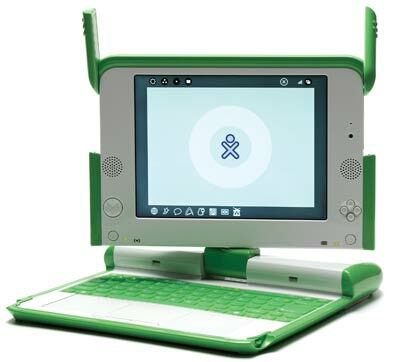 I have been following the XO-1 Paraguay builds (unsigned images located here for you to try out) for a while, and they’ve been described by some as the best OLPC XO-1 images ever. So it’s great to see not only recognition of the great work these volunteers have done, but also to see the OLPC organization pick up and incorporate this work into their stream!